ICPC Operatives on Wednesday, 18th September, 2013 arrested Mr. Abbah Adikwu, a GL. 07 officer with the Federal Civil Service Commission, Abuja for allegedly demanding a bribe before performing his official duties. A Petitioner, (name withheld) a Civil Servant had filed a petition on 16th September, 2013 at ICPC against the Suspect, Mr. Adikwu for demanding for a bribe before his file could be treated. 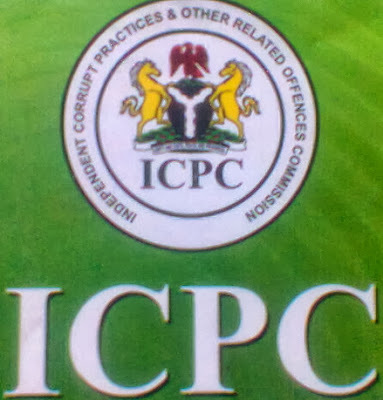 The Petitioner further informed ICPC that he had been visiting the Suspect’s office since December 2012 to regularise his service but the Suspect frustrated all his efforts through unethical conduct and brazen demands for a bribe. The Suspect was put under surveillance by ICPC and arrested through a sting operation after collecting marked money from the Petitioner within the premises of the Civil Service Commission. Mr. Adikwu violently resisted arrest and was about to bolt away but was physically restrained by ICPC operatives. However, there was a mild drama at the point of taking him out of the Commission’s premises when some of his colleagues and other persons blocked the gate, assaulted ICPC operatives and held them hostage in the office of the Chief Security Officer. It took the intervention of a back-up security team from ICPC to secure their freedom and whisk the suspect away. Some of the officials who assaulted and obstructed ICPC operatives were arrested the following day. Section 41(f) of the Corrupt Practices and Other Related Offences Act 2000 prescribes one year imprisonment without option of fine for anybody who assaults or obstructs officers of the Commission in the execution of their duties. At the end of investigations Mr. Abbah Adikwu and others may be charged to court for alleged infractions against the ICPC Act 2000.